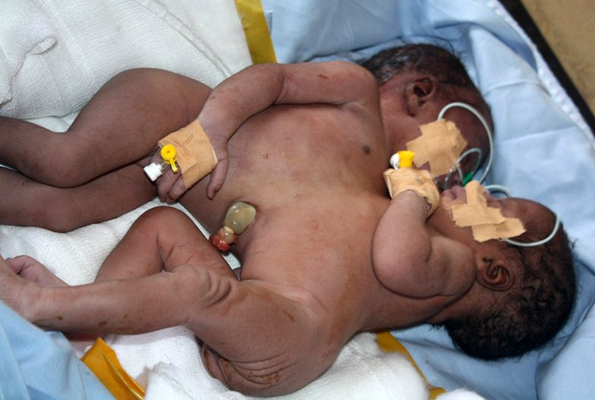 The conjoined twins admitted at Mulago Hospital yesterday have all died. The babies who were conjoined around the abdomen were born in Kabarole district before being referred to Mulago Hospital. The first baby died yesterday before the twins could be separated. She was the first to come out of the mother’s womb at delivery and doctors say they swallowed lots of fluids, which suffocated her, making it difficult for her to breathe. The second one died early this morning due to excessive bleeding. Doctors at Mulago Hospital led by senior pediatrician Dr. Jamil Mugalu struggled the save the life of the second child in vain. The babies were sharing the outer coat of the heart, the liver and much of the abdomen. Janet Kyomugisha an aunt to the babies says burial arrangements are on going and the bodies of the babies are expected to transferred back home.